Posted 12:19 pm by & filed under Events, Press Release, UK Specific. – By Jeff Halper, released September 2015 by Pluto Books. Following the sold out previews at Greenbelt festival this summer, we are delighted to announce Jeff Halper’s official book launch and UK tour. Jeff’s tour will take him to 14 cities, and we hope there is one near you! See flyer Halper-Flyer-London.pdf or book tickets here. 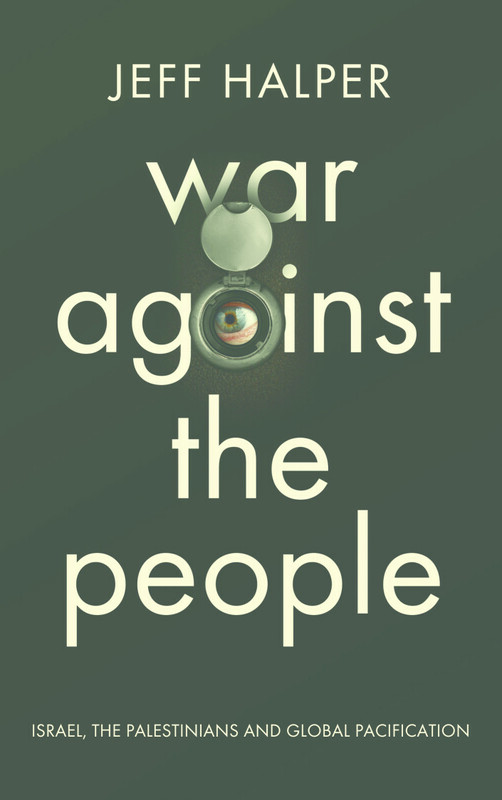 War Against the People is a disturbing insight into the new ways world powers such as the US, Israel, Britain and China forge war today. It is a subliminal war of surveillance and whitewashed terror, conducted through new, high-tech military apparatuses, designed and first used in Israel against the Palestinian population. Including hidden camera systems, sophisticated sensors, information databases on civilian activity, automated targeting systems and, in some cases, unmanned drones, it is used to control the very people the nation’s leaders profess to serve. Drawing from years of research, as well as investigations and interviews conducted at international arms fairs, Jeff Halper reveals that this practice is much more insidious than was previously thought. As Western governments tighten the grip on their use of private information and claw back individual liberties, War Against the People is a timely reminder that fundamental human rights are being compromised for vast sections of the world, and that this is a subject that should concern everyone. Jeff Halper is the head of the Israeli Committee Against House Demolitions (ICAHD). He is the author of An Israeli in Palestine (Pluto, 2008) and Obstacles to Peace (ICAHD, 2015).